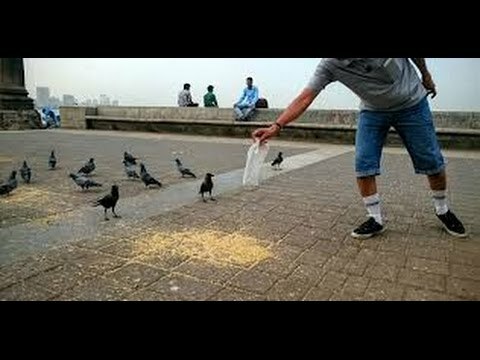 Birds: Usually, people feed millet or grains to birds. When Mercury is weak then people feed grains to birds. Birds should be nourished in the morning or in the afternoon. It is beneficial to nourishing birds to avoid education, concentration and progeny problem. Keeping food-water on terrace increase prosperity and avoids conflict form the home. Cow: It is beneficial to feed green grass, banana or flour peda to cow. It is beneficial to feed banana or flour to cow. It strengthens Jupiter. Serving cow gives all nine planets mercy. People who cannot get child or benefit of property, they should feed cow. The consumption of panchgavya of cow is beneficial for age. Fish: Feed small bowls or bait to fish. It is beneficial to feed fish when you cannot get wealth or debt increases. Feed fish in the early morning or after sunset. One cannot get benefit if he feed fish in the aquarium of the home. One cannot get shortage of wealth if he feed flour on Friday. Dog: It is beneficial to feed dog on Saturday. This avoids Shani, Rahu and Ketu related problem. There is no relation of dog’s color with planets. It is beneficial to feed any color of dog. In horoscope, if there is problem or accidents yoga then feed rotti to dog on every evening. Do not become careless if you serve dog in the home. Cat: Usually, there is no belief to feed cat. However, one can feed special stuff to cat. It is beneficial to feed milk if there is up-down, enemies and litigation problem increase in life. Do not serve cat in the home. If cat come and stay in the home then it indicates your problem will resolve. Good Luck: Offer pink flower to goddess Lakshmi on Friday. This improves financial condition.